Dance Engine is an experiment initiated and produced by Cinedans in collaboration with design studio FourceLabs and ICK. Together we are searching for a game experience that derives from movement. The movement of the body is less instrumental and more the goal in itself, contrary to most of the current movement oriented games. To achieve this the moving needs to have an explorative character. Players need to be able to improvise with their movements. Dance Engine is based on the movement concept " around ball" of dance company Emio Greco | Pieter C. Scholten. 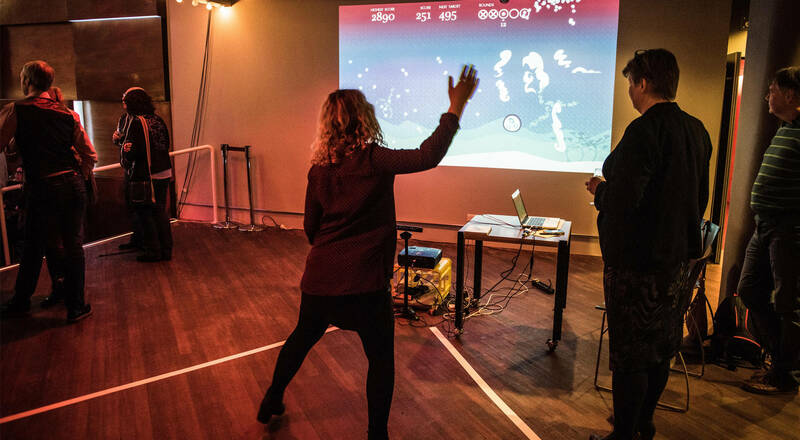 Dance Engine is made possible with the support of the Gamefund, the Amsterdam Fund for the Arts and the Prins Bernhard Cultuurfonds. Dance Engine at STRP festival 2011 from Sjanine Hendrikx on Vimeo.